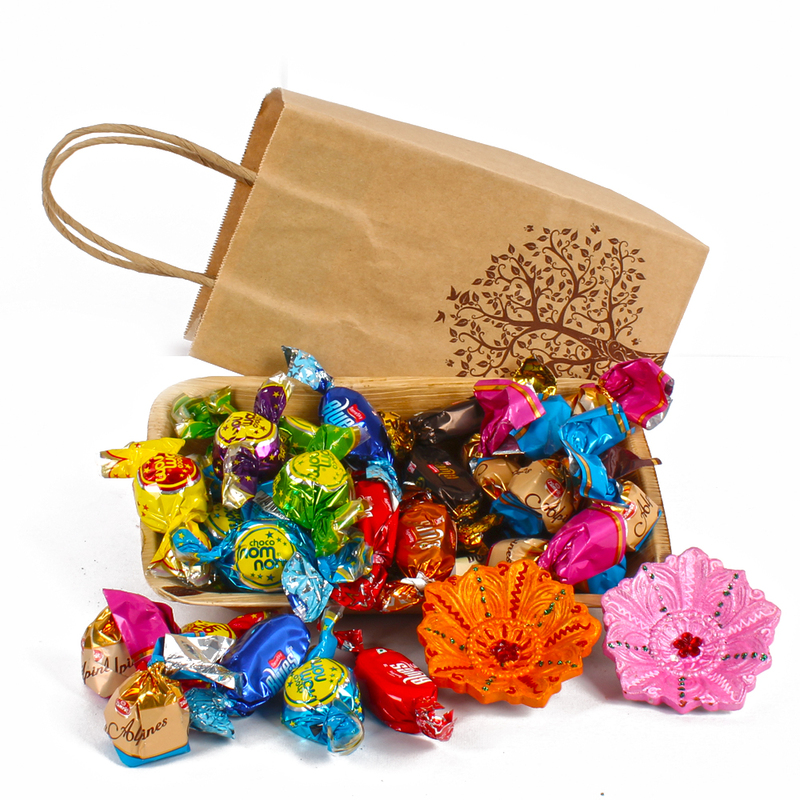 Product Consists : Imported Assorted toffees like Choco Nom Nom, Blues, Alpines (Weight : 300 gms) in Palm Leaf Tray along with 2 pcs Traditional Earthen Diya nicely packed in a Papermade Gift Bag. Chocolates are a sweet gesture of love and care. 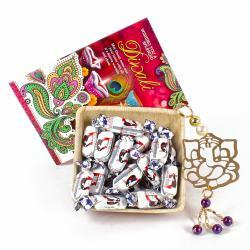 Just imagine what effect they would leave on our loved ones when we gift them a hamper full of chocolates on Diwali. 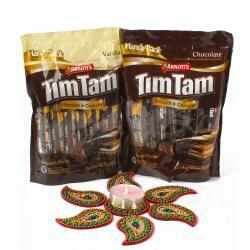 We bring an exclusive chocolate gift hamper comprising rich and delectable. 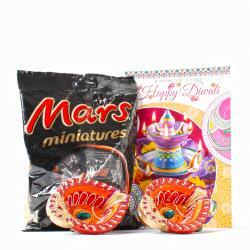 Pair of Traditional Earthen Diya with Imported Assorted Chocolate these assortments will let its receiver experience a sheer delight in every bite and is sure to give them an enchanting never before experience. So, what are you waiting for Order now. 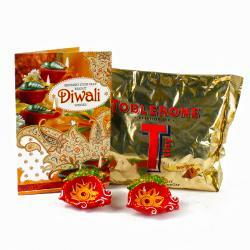 Product contains : Imported Assorted toffees like Choco Nom Nom, Blues, Alpines (Weight : 300 gms) in Palm Leaf Tray along with 2 pcs Traditional Earthen Diya nicely packed in a Papermade Gift Bag.